We Like 2 Move It provides convenient, competitively priced, local Bristol storage to suit your needs. If you are moving home or business or just need the extra space for whatever the reason we can provide safe, secure warehoused storage. You can turn up with your car or van and store the items yourself or we can collect your items, place them in storage and then return them when you desire. Please remember this is only a rough guide. It can vary depending on the items that you need to store and how well they stack. 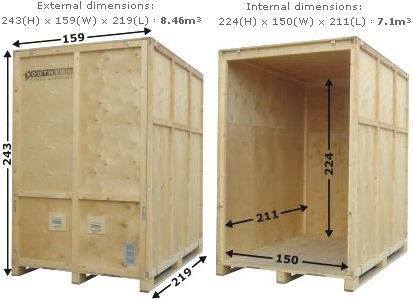 For extra large items we can still cater for them as we have space in the warehouse to do so.